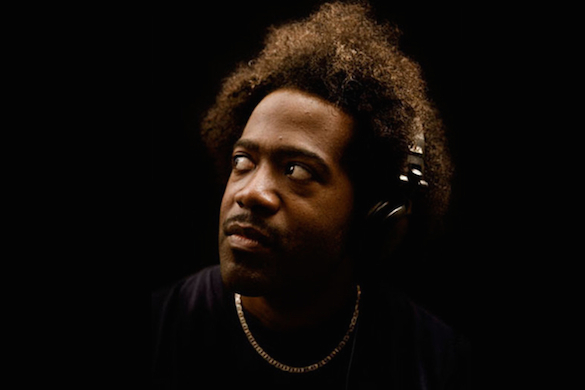 DJ Pierre is the quintessential dance producer. With his finger on the pulse of today’s underground house scene, he is shaping the present and laying the ground work for the future. After more than a decade of producing innovative and cutting edge underground house music, the master creator is at the height of his burgeoning career, and shows no signs of slowing down. 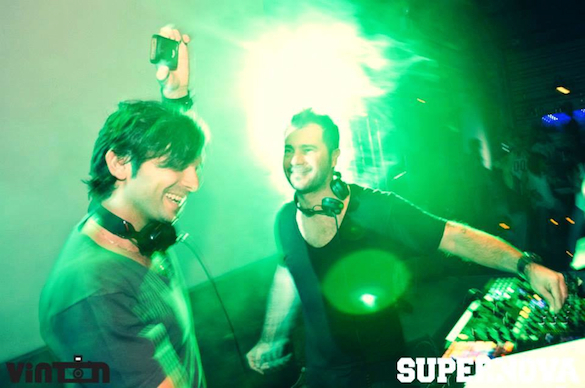 Italian house duo Supernova (Emiliano & Giacomo) sat down with the Acid Man Pierre to talk about the project and more in this Exclusive Traxsource Interview. 1) Firstly, it’s a great pleasure for us to have you on the label again with this new collaboration, please tell us where you are and how you are feeling right now? Right now I’m in Naples for the “Don’t Touch Naples” Festival. I just came over from playing Harvey’s in Copenhagen. Next up is Berlin for a DJ set & a live performance with PHUTURE at Berghain / Panorama Bar and the last stop on the tour will be two shows with PHUTURE in Australia. One being a hallmark gig for me personally at the Sydney Opera House! So right now I must say I’m feeling blessed & excited! 2) The topic for today is our Lapsus release “The Beat” – tell us in your words a little bit about the musical direction of “The Beat”? Just bringing things back to the roots and foundation of this thing we call “House”. In the beginning it was all about the beat and the bass. That’s where the focus is on this track. 3) How does a collaboration (with us) differ from producing solo work? Collaborations are fun because I love to see what happens when I blend my creative style with someone else. Usually I will start the initial idea and we see where it goes from there. In this case I think balance and chemistry between us was perfect! 4) What inspires you to step into the studio, and what kills your personal creativity? The studio is one of the few places that I feel at total peace. Music is (my) life. Strife & confusion is the only thing that robs me of my creativity. I create music from a place of peace & love. Without this my creative vibe can’t flow. Some people create from hurt, pain or even anger, but not me. Feeling love and giving love has become my power over the years. My family & fans keeps me motivated. My wife and kids are my biggest supporters. They believe in me and bring out the best in me. When I’m on tour all the amazing stories that I hear on the road when I meet people keep me going. When I hear a story of how something I did had affected someone’s life in such a positive way, I’m just thankful that I could have such a great influence in their experience. Hearing those stories keep me motivated. 6) What is your opinion of the current state of house music? I love the state that it’s in. As always the music comes back to it’s roots. House is blowing up and so is Acid house so these are great times for House Music! You and the crowd are connected to the point are in total sync. Priceless! PHUTURE. The final frontier. A sound never heard before it’s origin in 1985 and can never be duplicated. Completely unique, & born in Chicago. A sound that influenced an entire generation to create other musical genres beyond the boundaries that were set at the time. Acid House is the original Rave and the forerunner of what we see today in Electronic Music. 9) Can you share with us a few artists of the past (and present) that have influence your legendary sound? 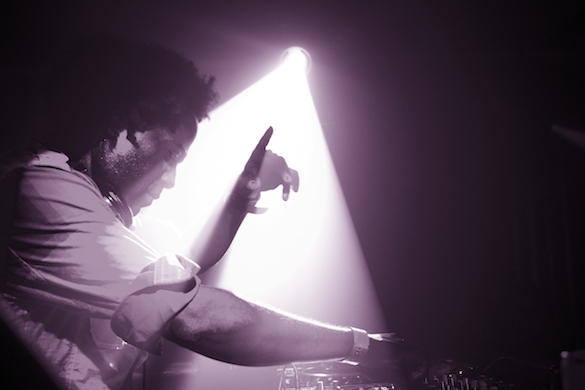 10) What is up next for DJ Pierre? Doing my own solo album. This will actually be my 1st studio album. Also Spanky and I have come back together as PHUTURE with new member Rio the ‘Musician”. We are already touring and are soon getting in the studio to do a new album. 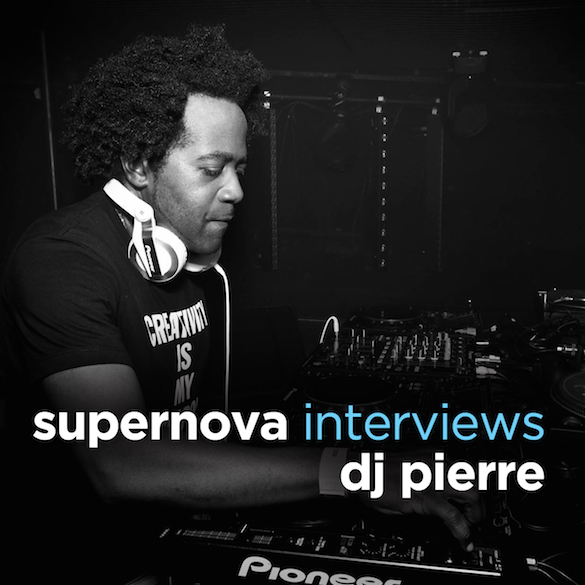 Supernova & DJ Pierre latest release ‘The Beat’ is out now on Traxsource.